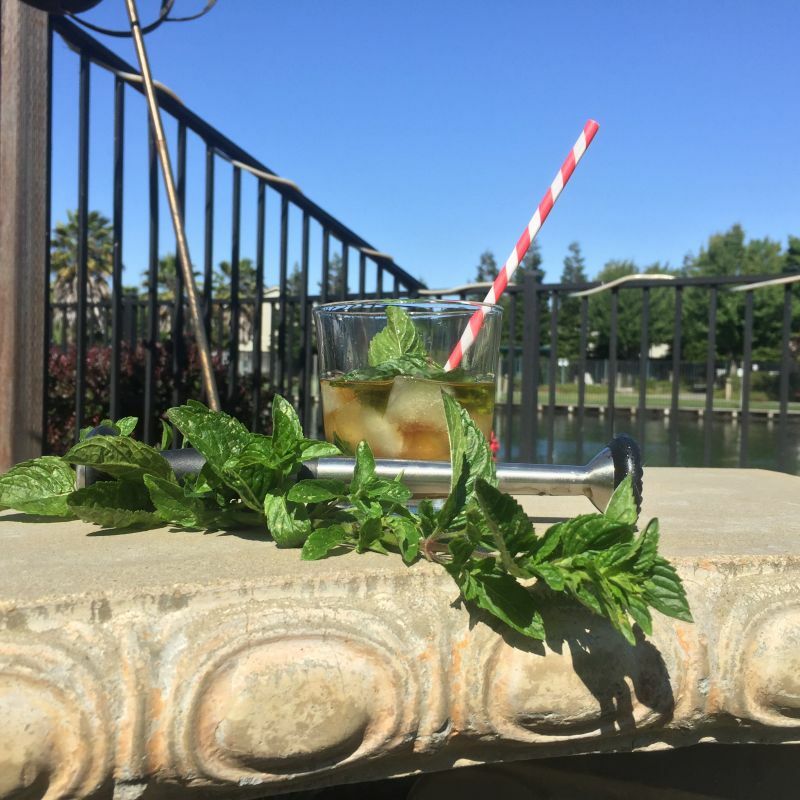 June 14 is National Bourbon Day and to celebrate, here is a post about one of the classic bourbon cocktails: The Mint Julep. This post first appeared on our blog in May of 2017. The Mint Julep is a cocktail associated with the Southern states of the US in general and with the Kentucky Derby in particular. Over the weekend of that horse racing event, about 120,000 Mint Juleps are sold. That represents a lot of bourbon. It also means that many sprigs of mint are needed, but anyone who has ever grown mint knows that it is a plant which spreads aggressively. We had a pot of mint in our garden, now we have a corner infested with the plant. We could probably serve a thousand mint juleps from our own supply; not that we have that much bourbon or ice. The Mint Julep is first recorded in the eighteenth century, as a medicinal compound. It appears in a book called, “Travels of Four Years and a Half in the United States of America” from 1803 where it is described as: “a dram of spirituous liquor that has mint steeped in it, taken by Virginians of a morning.” To me, it does not seem an ideal drink for the morning, as it is a very boozy concoction. In the nineteenth century it seems that the drink was made with spirits other than whiskey. The “Bartender’s Guide: How to Mix Drinks”, published in 1862, describes a variation using Genever, a Dutch version of Gin. 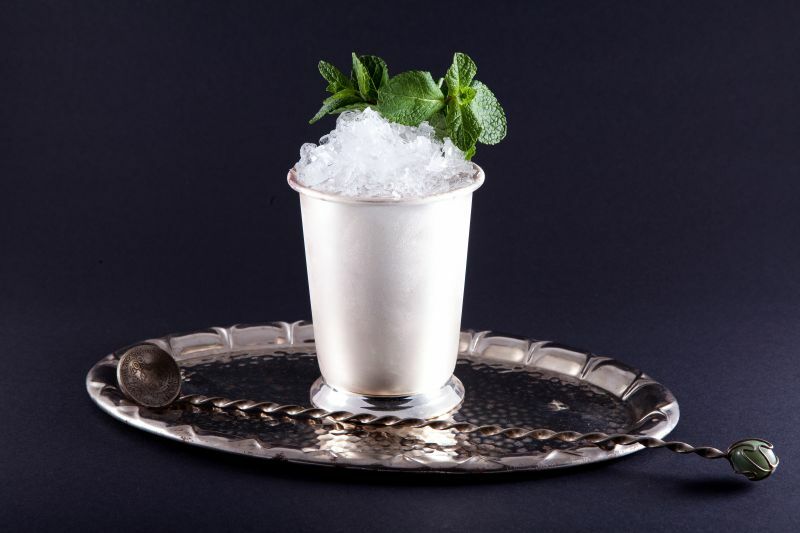 The Mint Julep is traditionally served in a silver goblet. This cup should be held by the base or the rim, allowing the outside to frost. Lacking a suitable goblet, I made the drink in an old-fashioned glass. Gently muddle all but one of the sprigs of mint in the simple syrup. Add the remaining sprig of mint as a garnish. Enjoy on a warm summer’s afternoon.